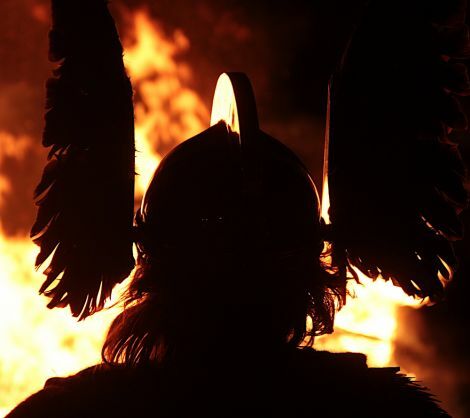 THERE was a typically fiery end to guizer jarl Stewart Jamieson’s galley Blaze Away as Lerwick Up Helly Aa heated up on Tuesday evening. 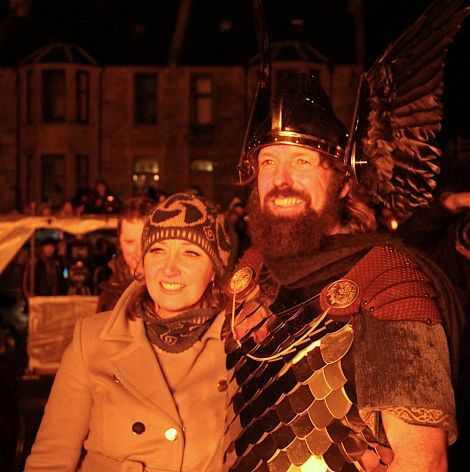 The cold weather didn’t put off locals and visitors alike as they swarmed around the playpark on King Harald Street to watch the jarl squad and the many guizers take part in the traditional torch lit procession. The men were dressed up in all sorts, from pandas and monkeys to just about everything else in between – and women too, of course. 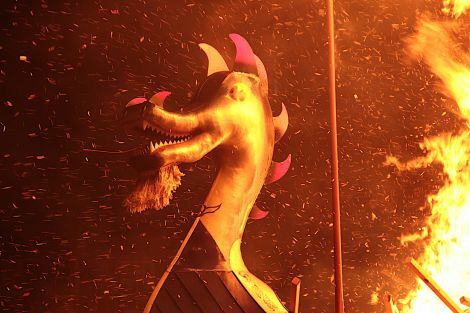 And many thousands across the world more were watching at home on Promote Shetland’s live online stream of the fiery finale. There were thundering fireworks too which lit up the skies overhead in style. The squads are now traipsing around the many halls across Lerwick to perform acts and party through to eight or so in the morning. Former X Factor singer Wagner – who has become an often-seen sight locally on Facebook for performing birthday wish videos – has been spotted as part of one of the squads for what will no doubt be one of the strangest gigs he will likely ever play.